The management of Global Alignment &amp; Engine Service BV sees it as its duty to realize all its activities, products and services with well-trained staff, the most suitable materials, tools and resources in order to meet the established and obvious requirements and wishes of clients. . The policy is aimed at ensuring that every employee participates in the labor process in the safest way, protecting safety and health in the best way possible (preventing personal injury), promoting the general welfare of employees and the environment. as little damage as possible. This also implies care for the safety and health of third parties. The management is well aware that this not only serves the interests of the employee and employer, but also of the other stakeholders. After all, the aforementioned objective directly and indirectly gives rise to a more efficient organization, the prevention of material damage and personal injury and a reduction of costs. On the one hand, the management, in addition to the statutory regulations, will take initiatives to increase / improve quality, safety, health and the environment. On the other hand, the management will appeal to the cooperation of all employees. This is a continuous process. All employees, both in line and in staff positions, are required to also endorse the objectives of the management. Every employee is expected to perform his / her work in accordance with the safety rules of the company. Moreover, everyone is expected to point out to colleagues who perform work in an unsafe, unhealthy. The aim is to maximize the involvement of all in complying with the legal requirements and the obligations in terms of quality, safety, health and the environment, which result from this policy statement. By means of customer satisfaction surveys and measurements, the company also tries to continuously increase customer and customer satisfaction. The system and the underlying procedures, documents etc. will be used to maintain a process that ensures corrective and possibly preventive measures to achieve further optimization of a KAM- aware organization. A care system has been set up for the above. 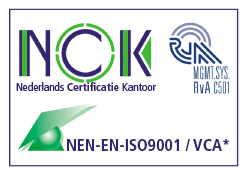 This system is periodically tested by an external independent certification agency against the current versions of ISO 9001 and VCA *. The following scope (scope) is used for this. Mission / objectives is part of the context analysis and is assessed annually. Global Alignment &amp; Engine Service BV is a renowned company in its sector. Its business activities are aimed at maintaining the acquired market position and, where possible, further strengthening it. By investing in quality, knowledge and professionals, Global Alignment &amp; Engine Service BV aims to achieve this. Global Alignment &amp; Engine Service BV wants to grow into full-fledged reliable partners for its customers, guaranteeing a solid craftsmanship, in accordance with the wishes of the customer and its employees. In addition, both companies want to grow into a company for the environment where it is good and safe to work for its employees and that care for the environment is of paramount importance. The targets are determined annually on the basis of the findings of the past year and the expectations for the coming year. The objectives are adjusted and / or updated annually. Global Alignment & Engine Service B.V.